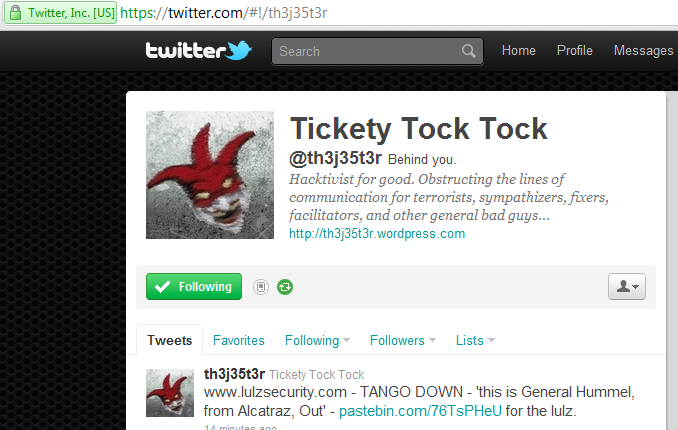 Th3J35t3r (The Jester) claim to expose identities of LulzSec Leader "Sabu"
Th3J35t3r (The Jester) Just now Tweet "www.lulzsecurity.com - TANGO DOWN - 'this is General Hummel, from Alcatraz, Out' - http://t.co/oNm29Pv for the lulz.". 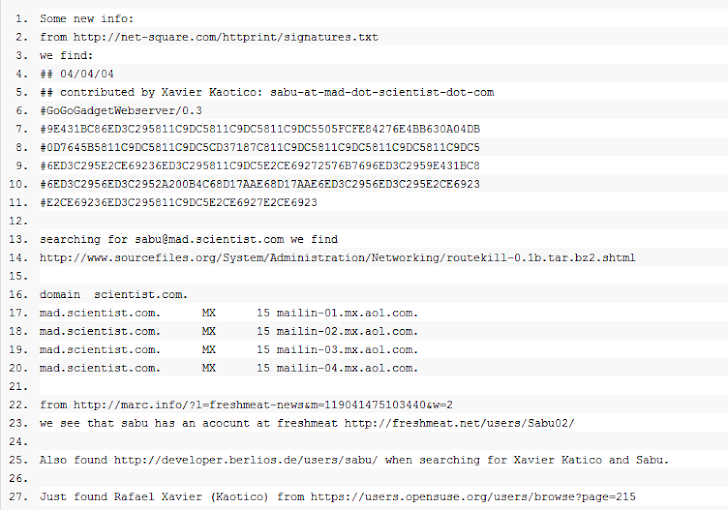 There are lots of Dox Information he posted in the pastebin : http://pastebin.com/76TsPHeU . 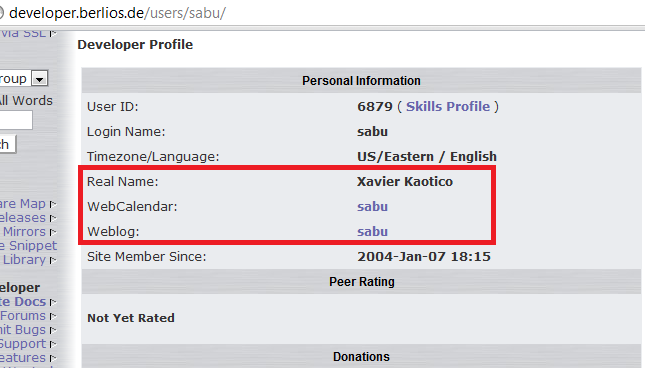 Moreever , The personal website of sabu is : http://sabu.net/ . 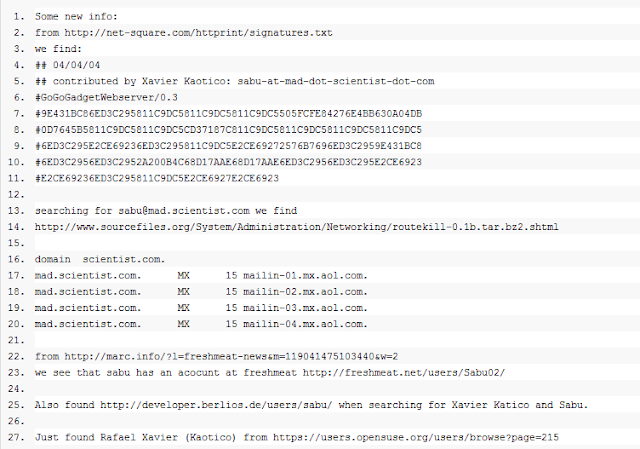 The big Question Arises that, Lulzsec involved in major Security Breaches of 2011 , and Still they are Enjoying More than 264,340++ Followers of Twitter . Why U.S govt, FBI or Twitter is Not able to Take down there Twitter Account ? ?